Syrian President Bashar Assad said that the situation in Syria has improved dramatically from the military point of view as the terrorist groups are retreating but the spread of their ideology remains one of the key challenges facing the country and the Middle East region in general. MOSCOW (Sputnik) — The situation in Syria has improved dramatically from the military point of view as the terrorist groups are retreating but the spread of their ideology remains one of the key challenges facing the country and the Middle East region in general, Syrian President Bashar Assad told India's WION television broadcaster in an interview published on Saturday. "The situation has improved dramatically, let’s say, because the terrorist groups, mainly ISIS and al-Nusra and like-minded groups in Syria who are Wahhabi terrorist extremist groups, are retreating, or let’s say the area under their control has been shrinking. So, the situation on the ground, from a military point of view, is much better than before," Assad said. The president noted, however, that this was not "the whole picture" of the situation in Syria. 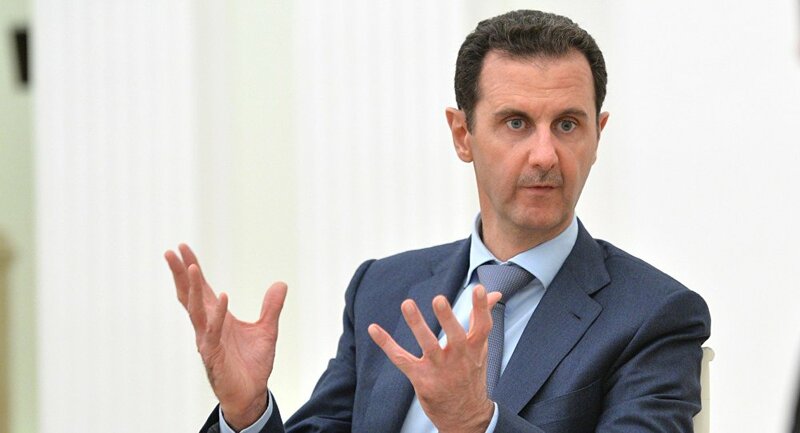 "It’s not only about military conflict, it’s about different things, about the ideology that they [terrorists] try to spread in our region, which is the most dangerous challenge that we may face in the near and long term," Assad noted. According to the Syrian leader, such regional countries as Qatar, Turkey and Saudi Arabia as well as several Western states, including the United States, France and the United Kingdom, were providing support for terrorists, which "marked a new era" when terrorism could be used for political ends. The Syrian civil war has been raging for six years, with government forces fighting against both Syrian opposition groups who strive to overthrow Assad's government, and numerous extremist and terrorist groups such as the Islamic State (Daesh) and Jabhat Fatah al Sham.